In a recent article by the Wall Street Journal titled “Advertisers Try New Tactics to Break Through Consumers,” consumers are saying NO to traditional forms of digital advertising. As such, more and more companies are altering their marketing playbook by blurring the line between advertising and content. The goal is to get the consumer to stop skipping through or ignoring the ad by making the “ad” more content driven. At DA14 we help companies better understand the importance of developing a turnkey content marketing strategy, which includes landing pages, ebooks, webinars, reports, infographics, blogs, and LiveLaunch. We created an infographic to better explain what we call the Content Marketing Solar System. 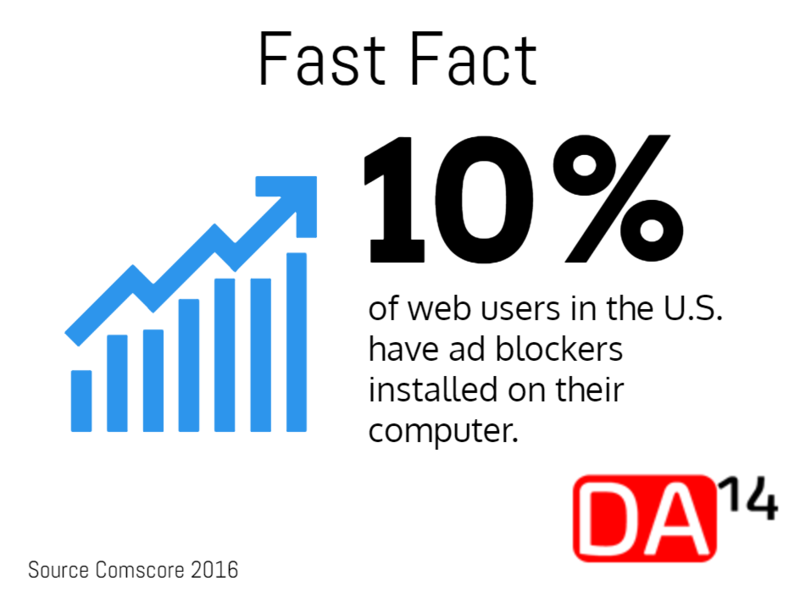 Keep in mind, ~10% of web users in the U.S. have ad blockers already installed. Furthermore, mobile ad blocking technology is on the rise. One software, Adblock Plus, reported their user base has risen to over 100M users in 2016 – up from 60M users in 2014. More and more, the importance of developing a content marketing strategy is imperative to reach your target audience online.